While Americans waited (and saw) Punxsutawney Phil’s furry shadow today, the French were busy getting ready for le jour des crêpes, or la Chandeleur. In Catholic France, Chandeleur marks the purification of Mary and the presentation of the baby Jesus to the Roman temple 40 days after his birth. It is known as the day of hope and light, and in the church is celebrated with heaps of candles and a procession. So, where do the crêpes come in? Savoury crêpes are actually called galettes (and are made with buckwheat) this is a galette de blé noir au saumon fumé that we enjoyed today to celebrate the day. Well apparently this candle lighting and procession marching has been going on for a very, very long time in the Christian world. 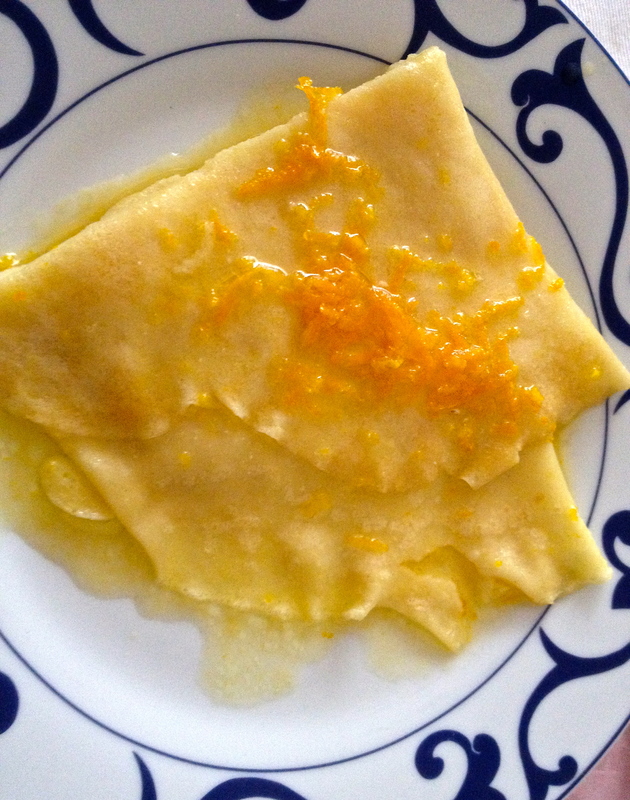 At some point early on, the ruling Pope wanted to reward and fortify the pilgrims who came all the way to Rome to celebrate the festa candelarum, so he offered up crêpes to his flock. …and it is also the day to predict whether or not winter is ending, or if 40 more days of chilly weather are in the future. Chandeleur couverte, quarante jours de perte. Candlemas covered (in snow), forty days are lost (to winter). Rosée à la Chandeleur, hiver à sa dernière heure. Dew on Candlemas, winter is in its final hour. 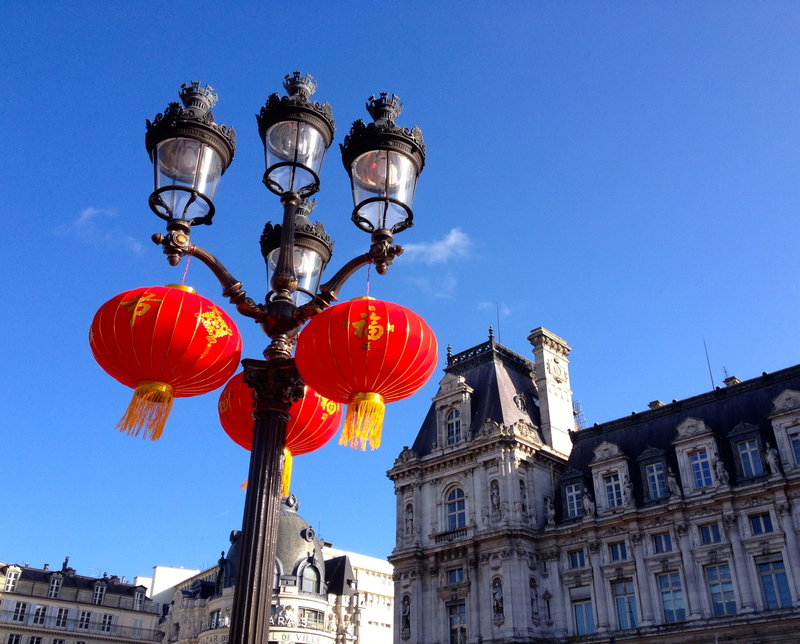 So, I’m thinking that winter is in its final hours à Paris. Sorry Punxsutawney, but I’ll take the crêpes and the sunshine, while you retreat back into your burrow and wait for the freeze to end. Oh my gosh. Did you take that picture? Because that looks like the most divine crepe I’ve ever seen. Yep. 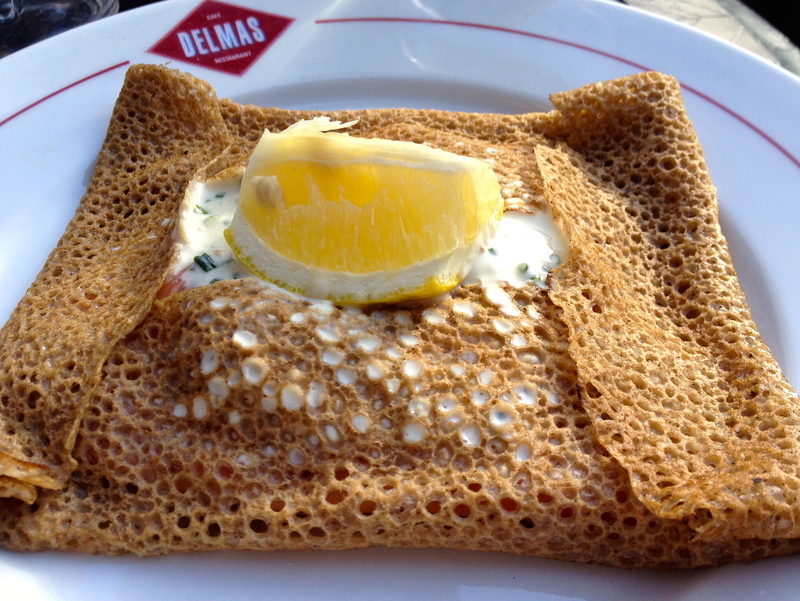 Even though je suis au régime after eating all those Galette des Rois, I had to go out for a crêpe (actually savory crêpes are galettes) in the sunshine yesterday….galette de blé noir au saumon fumé. Delish! Crepes are indeed delicious and even though it’s rainy in Nice, I’ll take it over snowy, wintery weather! Ahhh…but I do miss the snow. Would love it to snow at least once in Paris this winter. If memory serves, it usually does snow in Paris in winter, so maybe it will before springtime! 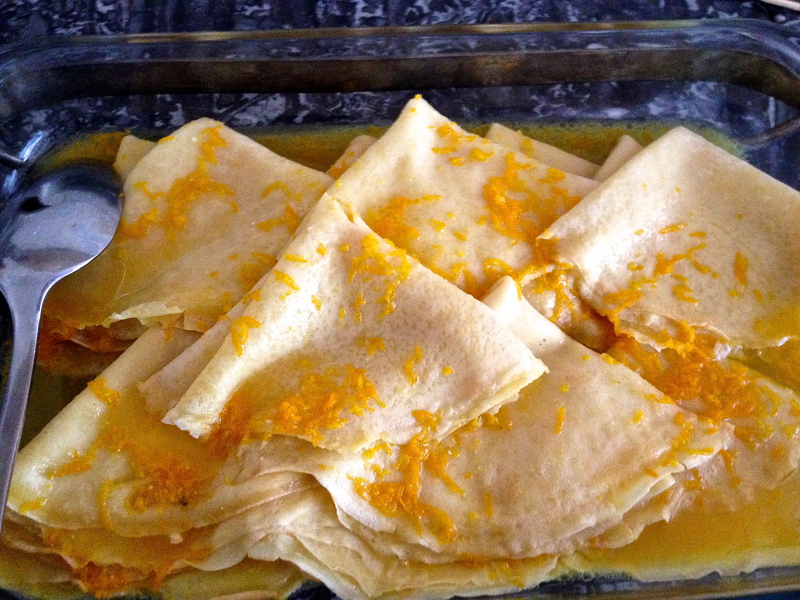 My goodness, I will miss crêpes! Copyright 2013-2015 All text and photographs © Nancy Benioff, unless otherwise credited. All rights reserved. Under the Digital Millennium Copyright Act and international copyright law, usage of photographs or text - without my permission - is strictly prohibited. Please respect my original work and do not post, copy, alter or "pin" my photos and/or editorial content.